Have you ever been attracted a shape, a pattern, an image, a technique and you don’t know why? For me, it’s been Asemic writing and abstract figures. Asemic writing is a wordless form of writing. It makes words look real, but it’s not meant to be read. 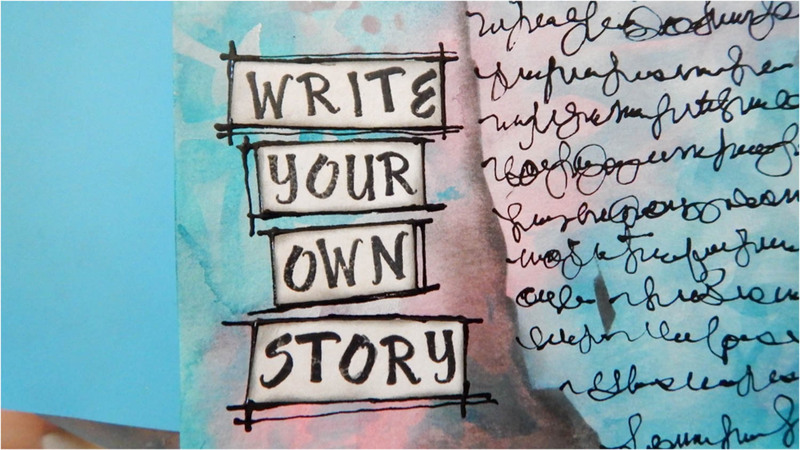 This is a perfect way to express that you can write your own story every day and that nothing is set in stone. 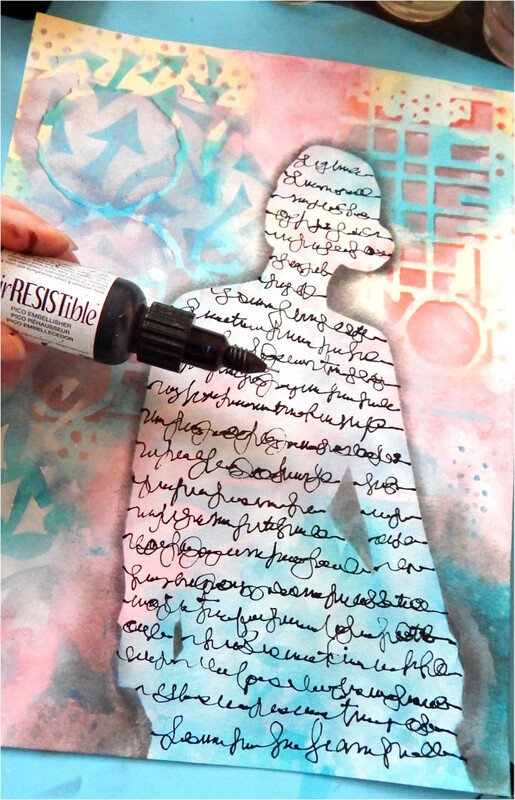 Imagine’s irRESISTible Pico Embellisher is a very fine mark-making tool and a medium perfect for Asemic writing. See how I make this vibrant journal page. Spray the watercolor paper with water. Then brush on the All-Purpose Ink in Rose Pink, and Tropical Lagoon. Also, Brush on Fireworks Shimmery Craft Spray in Dandelion. Do not blend or the colors will turn into a mud color. Rather color in separate areas. 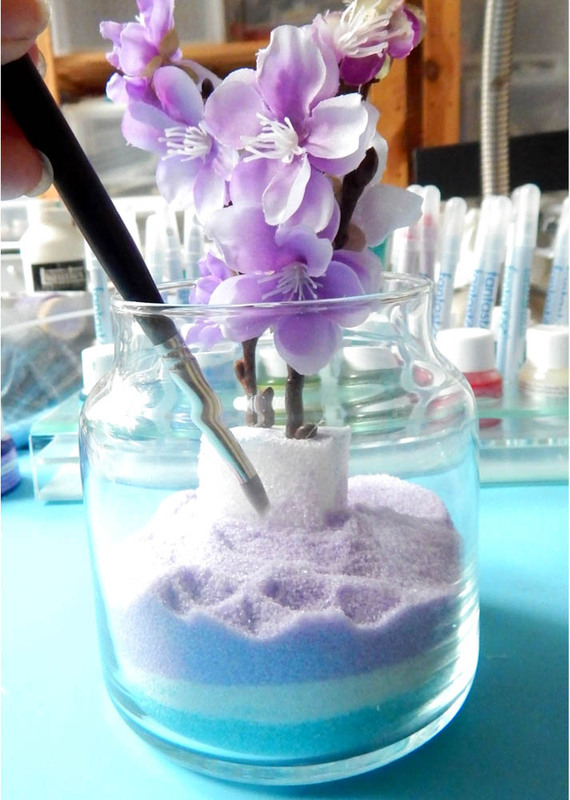 You can lightly blend the edges with a brush. Dry the paper. 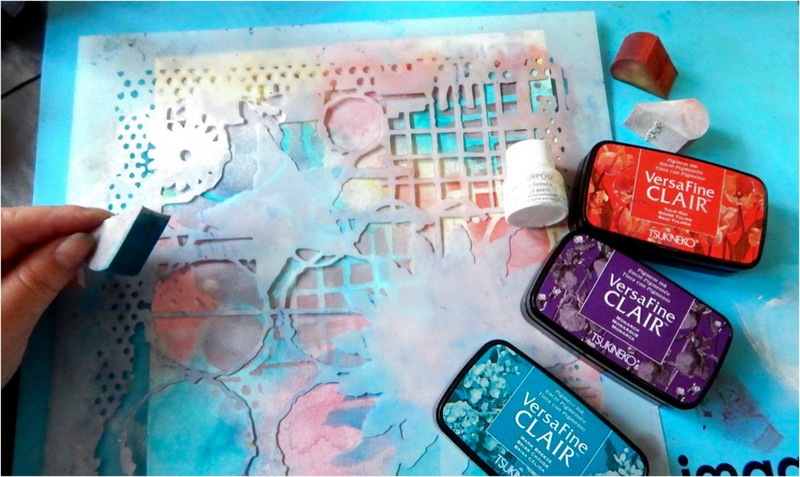 Use an InkBlushers to stencil in patterns with VersaFine Clair in Tulip Red, Monarch and Warm Breeze. You can use any stencil pattern you happen to have. To get a dimensional look, like you see on the top right of the of the image above, stencil the shape with a dark color, then place the stencil over the same area and slightly offset it, stencil a lighter color ink. The Dina Wakley stencil contains the positive and negative shapes. The cutout (positive) piece is considered a mask. Place the mask on the substrate. 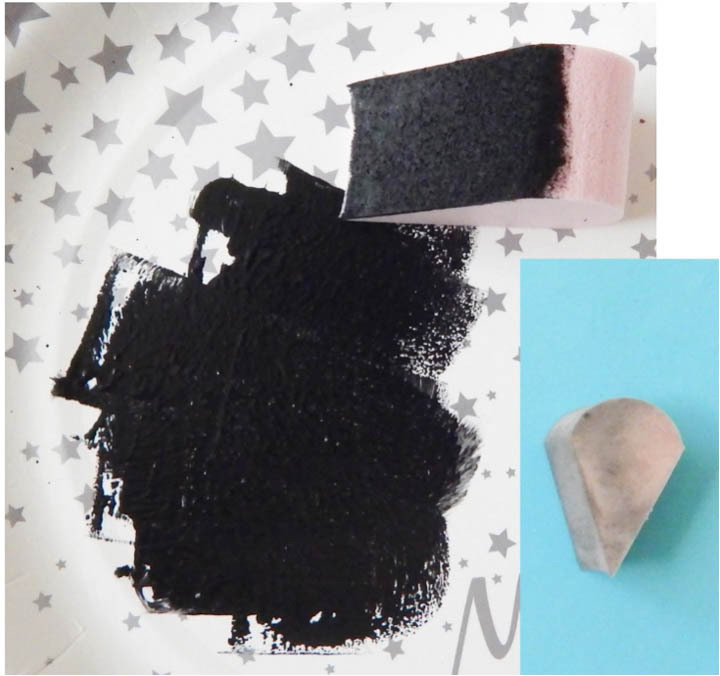 Make an outline with the VersaFine Clair in Nocturne using a Sponge Dauber. Continue to add to the shadows around the silhouette. 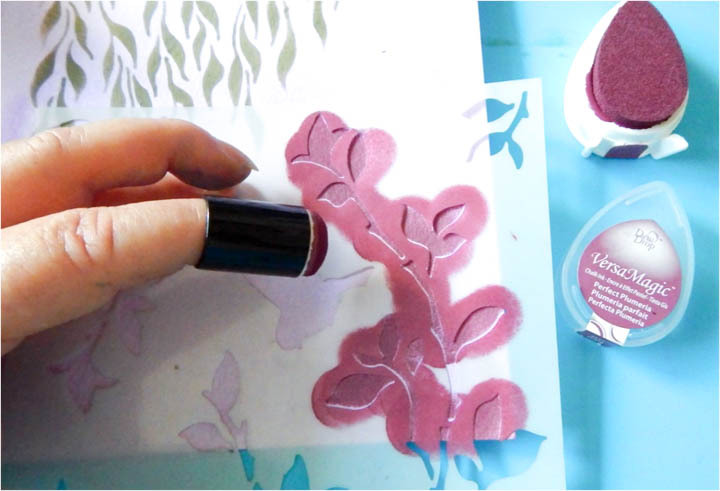 Place a few drops of All-Purpose Ink in White onto your craft matt and pounce the Inkblusher into it and color inside the silhouette. This ink is opaque, so a couple of drops is more than enough. This will make the silhouette standout, while slightly making out the color and patterns underneath. Make Asemic writing marks inside the silhouette with the IrRESISTible Pico Embellisher in Tuxedo Black. It helps if you think of several parts of a phrase, song, poem and abstractedly and write it out. On a piece of white cardstock paper, stamp out a sentiment, then cut it out. Glue onto the page. Draw a frame with the black IrRESISTible Pico Embellisher for added interest. Thank you! If you would like to learn more about stenciling then please see a full tutorial: Learn the Basics of Stenciling. 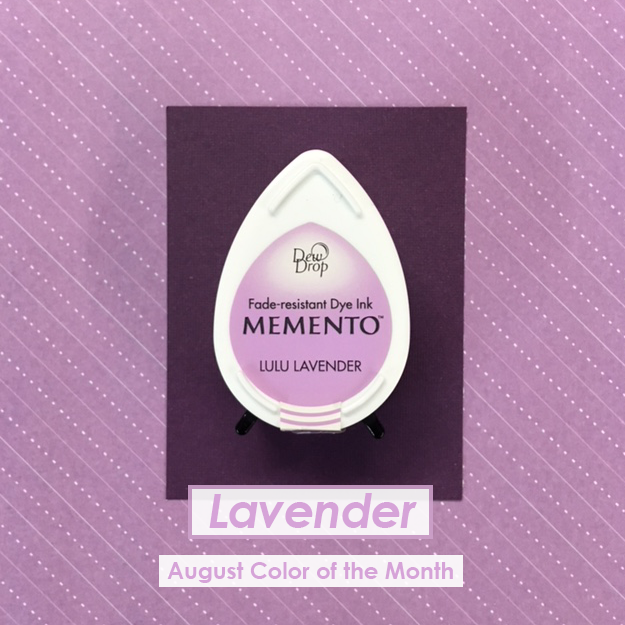 The Color of the Month for August is Lavender. We love this soft purple color and with summer in full gear, the lavender is blooming in full. We are reminded of how well this color compliments green leaves and also is the favorite of honey bees. 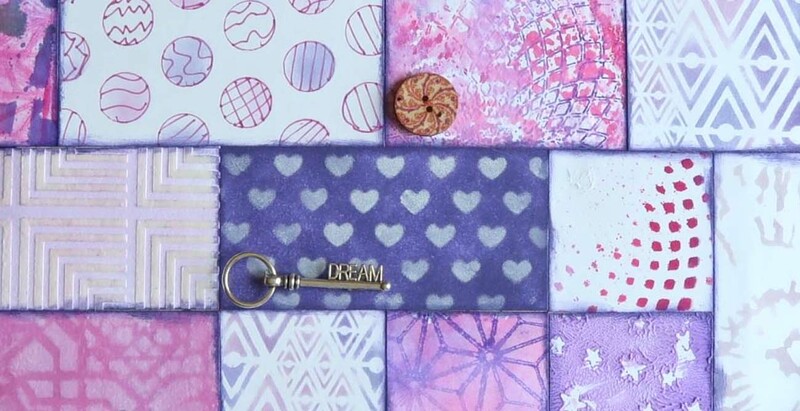 With cardmaking and scrapbooking, lavender is a must-have to express sensitivity and delight! Imagine and Tsukineko offer several products to help achieve this beautiful color. Ink swatches such as Memento in Lulu Lavender, Brilliance in Pearlescent Purple, and All-Purpose Ink in Wisteria are great examples! In the meantime, we have a couple of sneak peeks of this month’s tutorials for you! Stay tuned to the Imagine Blog for more inspiration! Mixed media techniques aren’t only for canvas and 3-D objects. You can make beautiful mixed media cards too! Fireworks Shimmery Craft Spray and Delicata ink look amazing together on this 6×6 inch card. Just add a few embellishments on top of the gorgeous, textured background to make a stunning card that anyone would be happy to receive. Stencils are a great tool to use for creating images and effects on just about any creative project. You can decorate a journal with them, create card backgrounds and textures, use in your paintings, or in home décor projects. 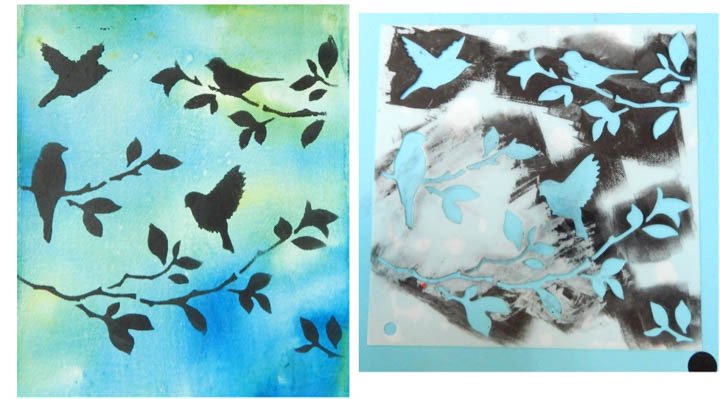 Imagine’s inkpads, inks, sprays, and texture mediums can all be used with stencils. 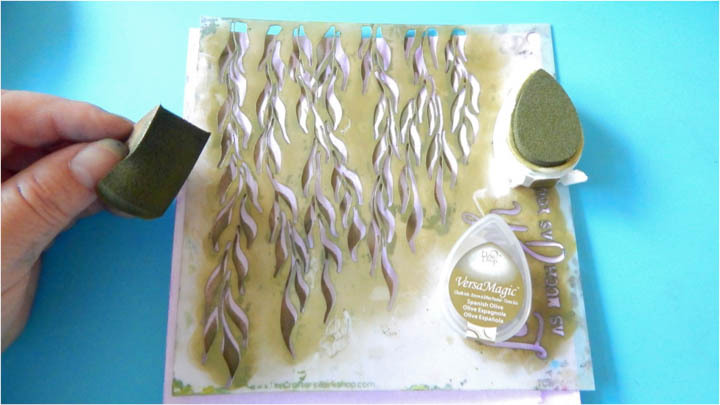 In addition, Imagine has you covered with applicators such as Sponge Daubers, Palette knives, and Stipple brushes. 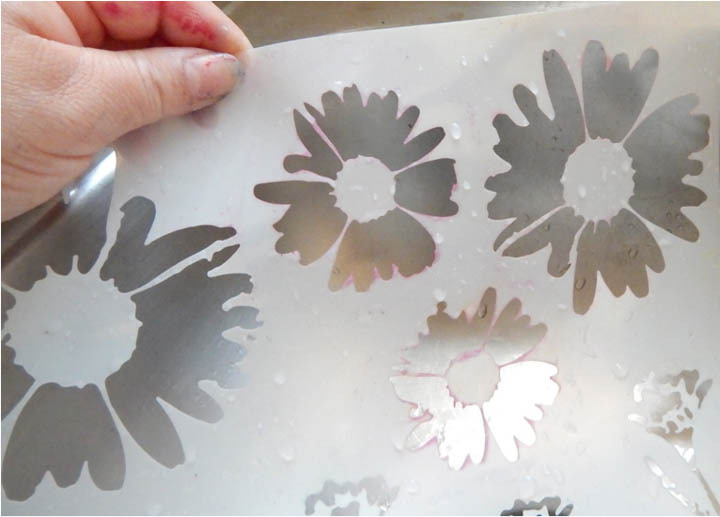 In this article, I’ll discuss some ways to organize, use with different products, proper care and cleaning your stencils. 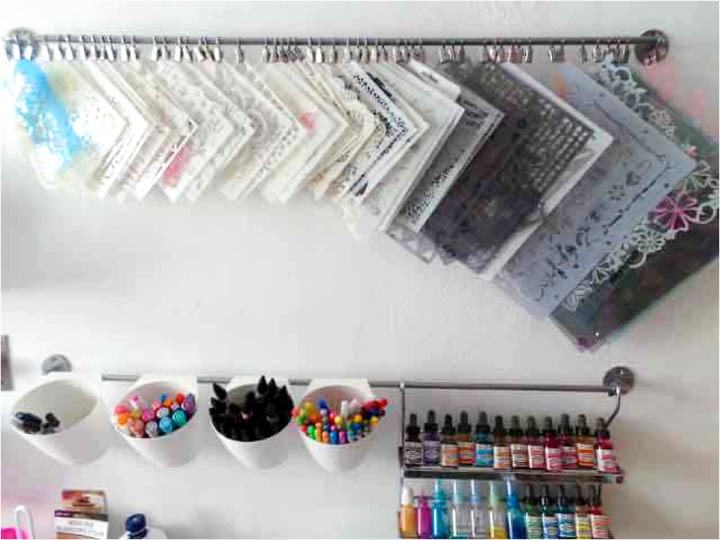 There many ways to organize your stencils. One excellent way is to search crafting, office and home goods stores for options on storage containers. Whichever you choose, it’s important to lay them flat. I think on of the best ways to keep them flat is to use dividers in storage bins or drawers. File folders can be found in office supply stores. Label your dividers by type, theme, or designer. 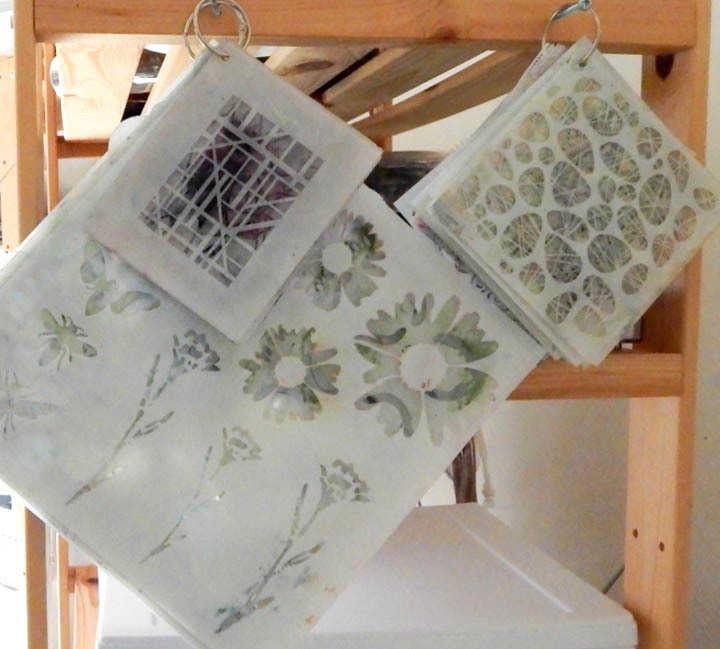 Another way to store stencils in a three-ring binder book inside plastic page protectors. 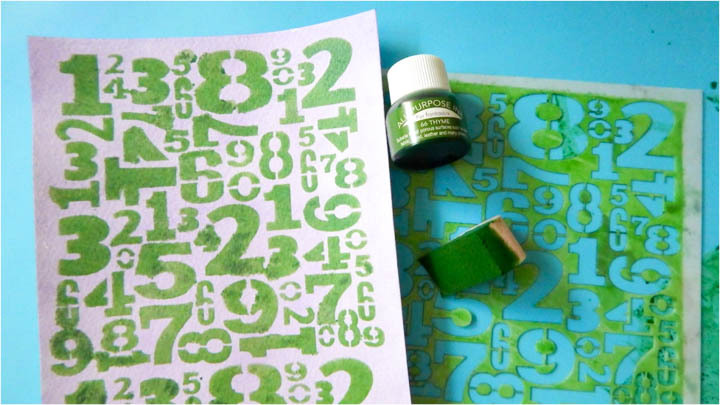 Place color cardstock paper so that you can see the stencil and maximize storage by storing two stencils on one sheet. 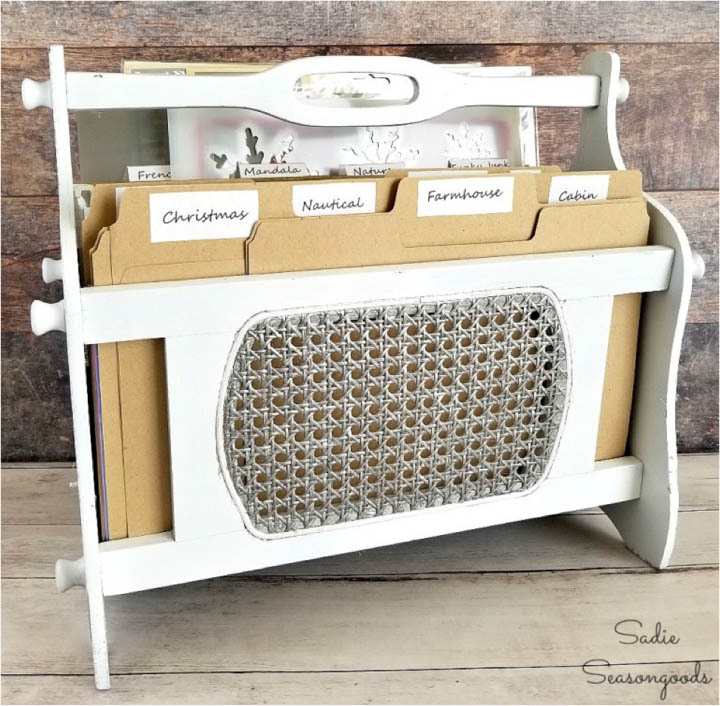 If you have an open crafting space then hang stencils with metal hook clips on a rack. I like the idea of hanging my stencils because I can easily go through them and find what I am looking for. 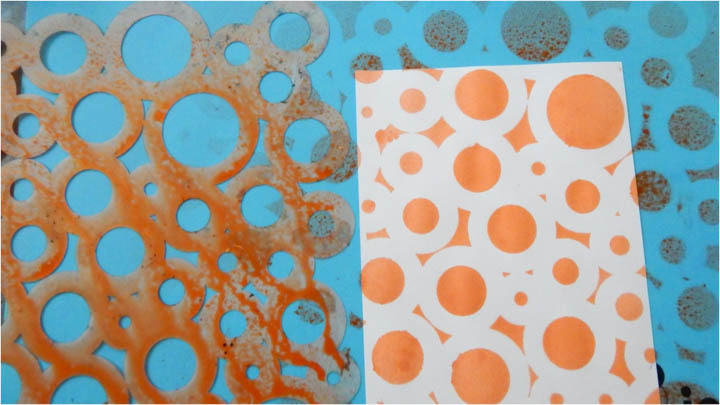 I punch a hole in the corners of my stencils and place them in a binder ring. I have an IKEA wooden shelving unit to store my crafting storage bins. I’ve attached long screws on the side to hang my stencils. Hanging them freed up space and I can easily access them. Some alternatives are to hang them on a clothes hanger with a metal hook or binder clips, store them flat in bins or drawer or hang them on revolving wire three-tier shoe rack with a metal hook or binder clips. 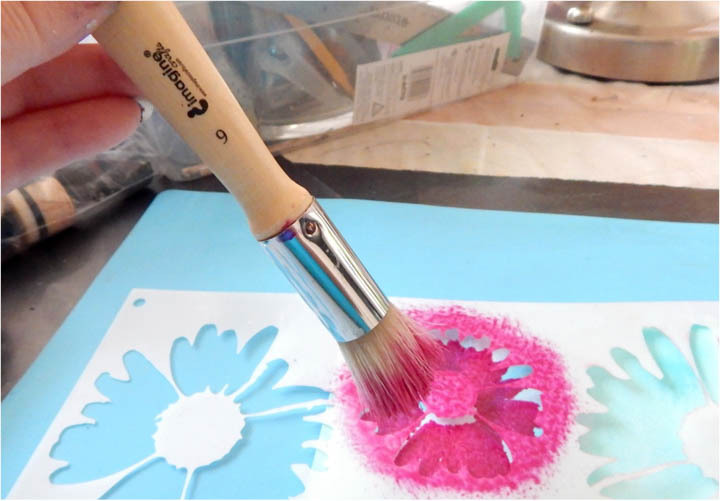 Imagine’s Inkblushers and Sponge Daubers work great with stencils because the soft sponge material presses ink down past the edges of the stencil’s details. The sponges produce sharp edges and finely detailed inking better than most other tool. 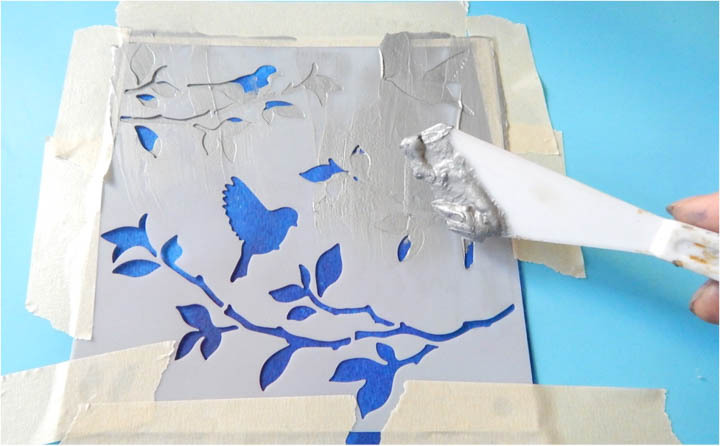 If you have a highly detailed stencil, the sponge materials are especially handy for getting into small and intricate opening, or getting around the tight areas of the stencil. 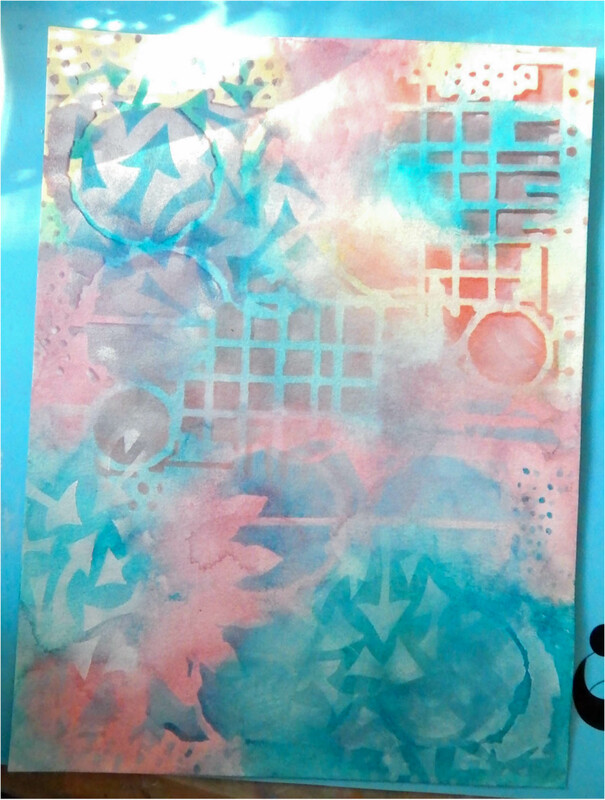 Stenciling with All-Purpose Ink and Inkblushers. 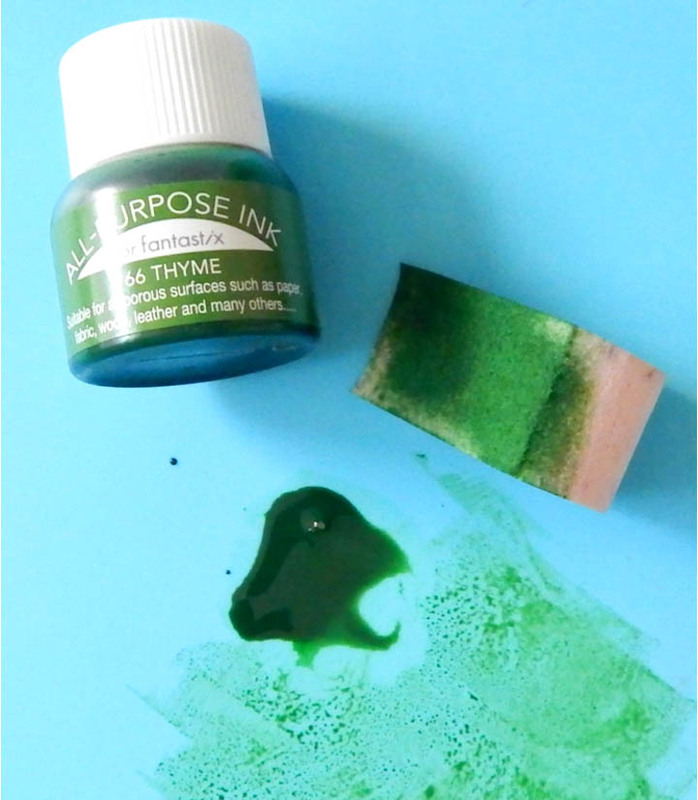 Add a couple of ink drops to your crafting mat and pounce the Inkblusher over the ink. Inkblushers are highly absorbent and work well with Imagine’s All-Purpose Inks. 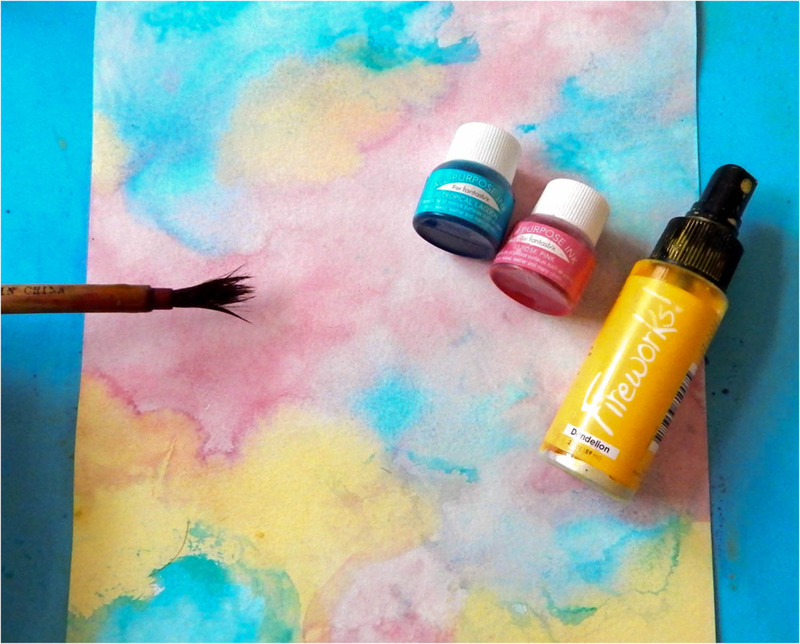 Inkblushers can also be used to stencil with acrylic paints. Like with inks, you can get clean edges and good detail. 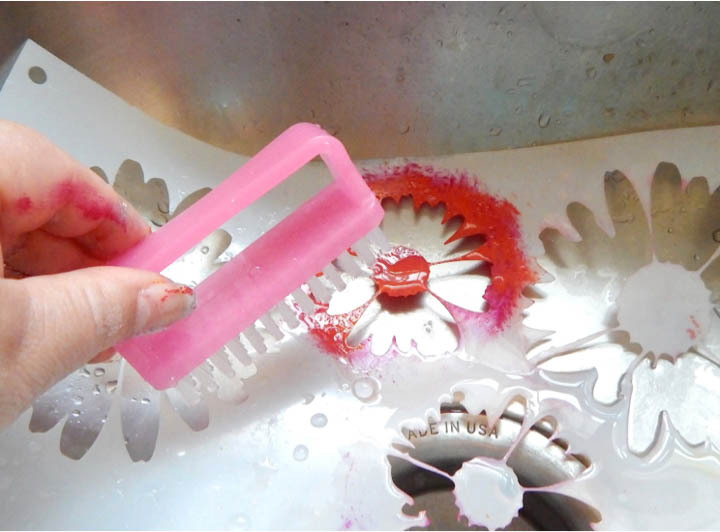 Wash the Inkblusher under running water immediately. If you cannot get to the sink right away, wipe off as much paint as you can and then keep it in water, like your paintbrush water. If left out without being washed, the paint will dry and harden the Inkblusher. Unfortunately, the paint cannot be washed out. However, all is not lost; only the area that had the paint will harden, and not harden the entire sponge. Using your scissors, cut off the piece with the hardened paint and continue to use. Imagine’s Jumbo Daubers provide fine detailed inking. The handle allows you to have great control and pressure over the stencils. Imagine’s Jumbo Daubers also work great Acrylic paints. 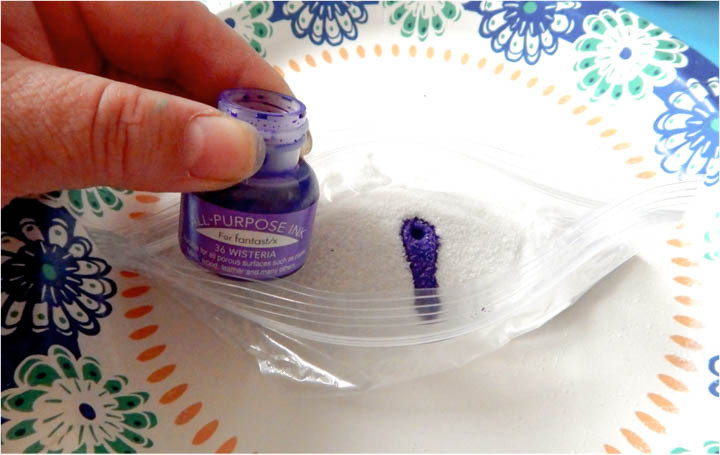 Add a few drops of paint to your craft mat, pounce the Dauber on the paint, then pounce the Dauber onto a clean area on your mat. Get the paint evenly on the Dauber and avoid globs of paint. If you get too much paint on the Dauber, it will go under the stencil. 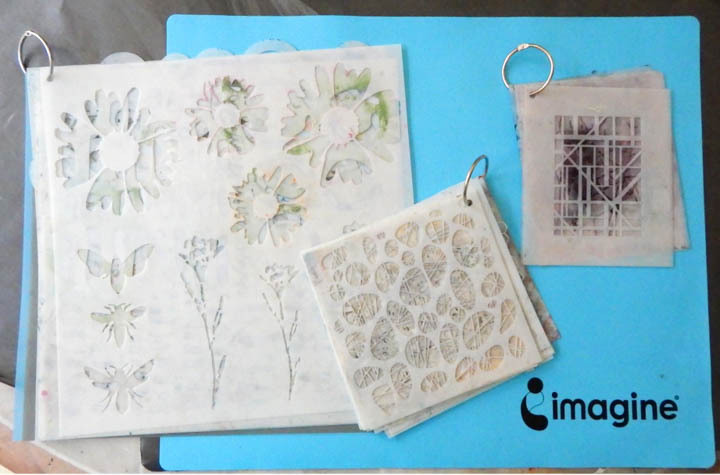 Imagine’s Creative Mediums are smooth acrylic pastes that provide yummy textures for any project. 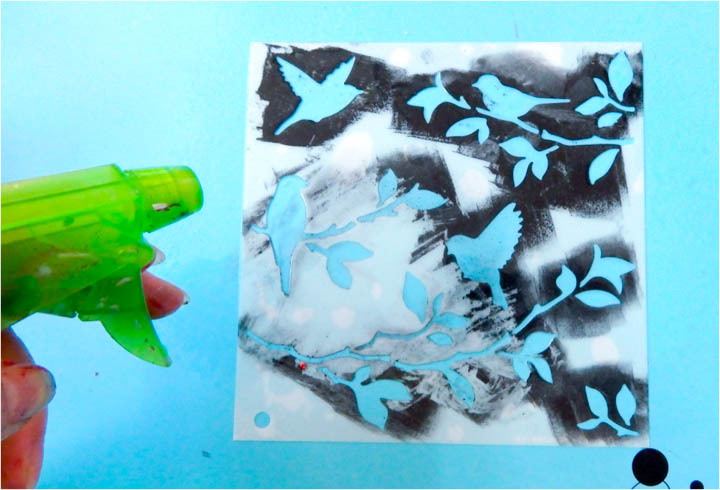 This is where stencils are very different from stamps because you can create an image with texture. Use Imagine’s palette knives and Squeegee to add the Creative Medium. Silver Metallic Creative Medium using a palette knife. 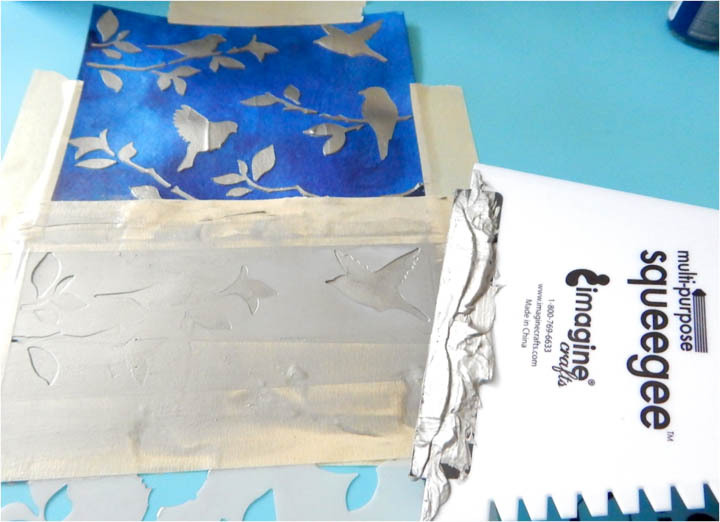 Imagine’s Multi-purpose Squeegee has a wider surface; perfect for using with larger stencils with large openings. Use a palette knife to add the medium onto the Squeegee. 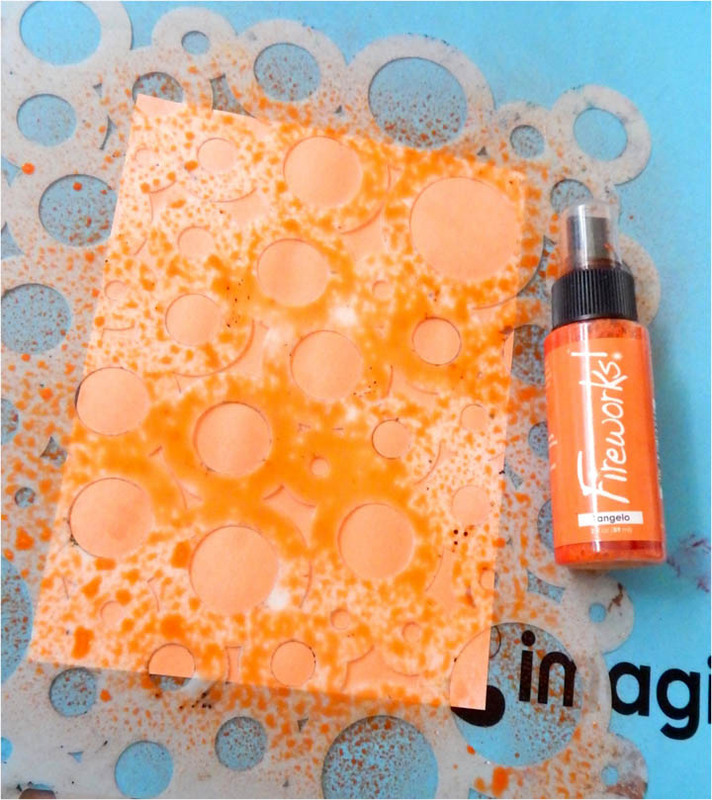 Imagine’s Fireworks Craft Spray makes stenciling a breeze. 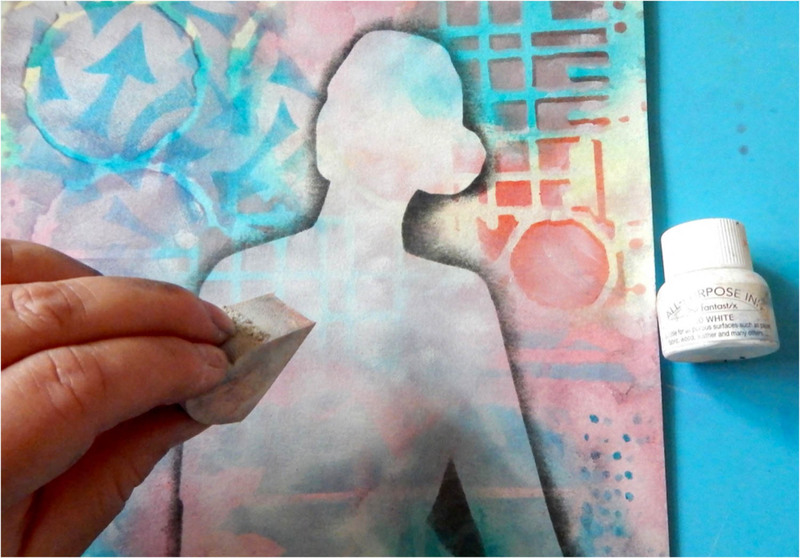 To get clean patterns, start spraying from the outside edges of the paper and spray inwards. Change up the starting point and spray. By starting from the outside, avoids harsh spray edges or heavy splotches of ink. 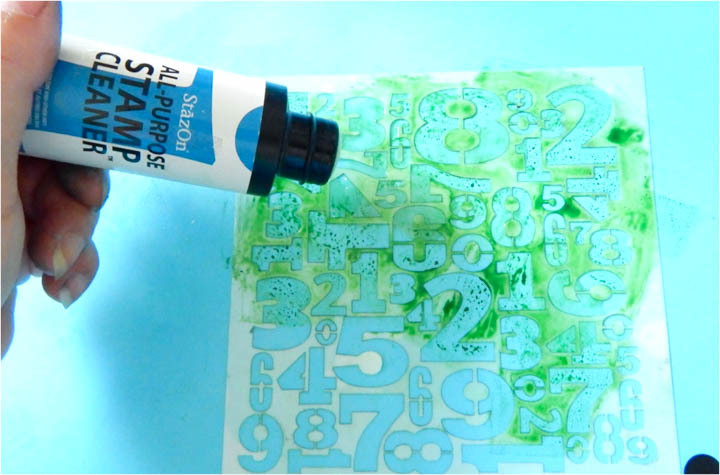 Clean up is easy, simply wipe off your stencil and craft mat with a dry paper/cotton towel. 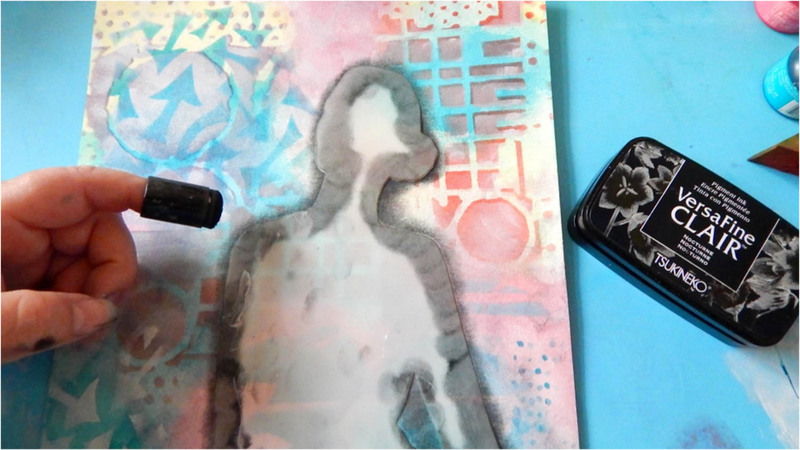 To double down on the stencil effects you can “stamp” the wet ink from the stencil onto another piece of cardstock. Create unique effects with Imagine Stipple brushes. These brushes have a flat, firm bristle head for stippling. It can be used on just about any surface. 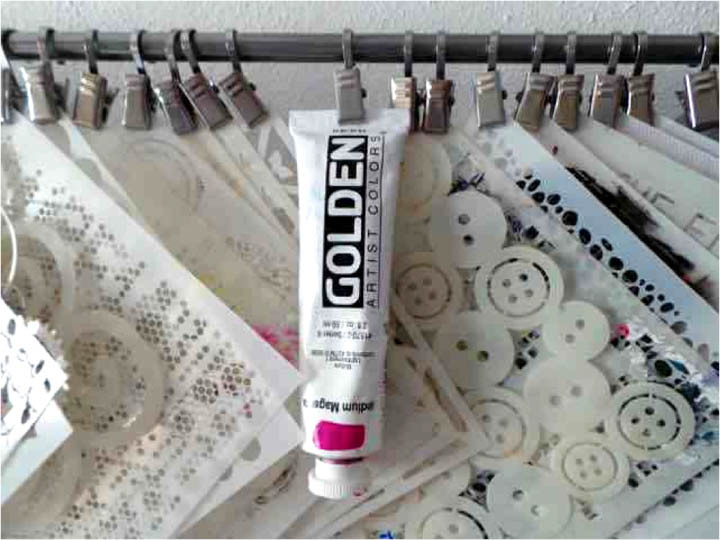 They are great for stenciling on fabric for getting into the grain. This creates patterns of fine dots by pouncing the brush onto the substrate. Scumble by brushing at a slight angle in a random fashion. This creates brushstrokes and because of brush’s firm bristles, it won’t get under the stencil. One of the hardest things about working with stencils is cleaning them. Even so, keeping your stencils clean will help to maintain clean edges, last longer and you’ll have a clean stencil for your next project. The key to success for keeping stencils clean, regardless of the medium, is to clean them immediately with a wet paper/cloth towel or baby wipe. Depending on the medium you will have ink/paint residue. When using pigment inks, All-Purpose Ink, or dye inks, wipe the stencil immediately with a wet paper/cloth towel, or baby wipe. Since these inks are water-based the stencil will clean up quickly and completely. When using permanent inks, simply wiping the stencil off with water, will not get it clean. 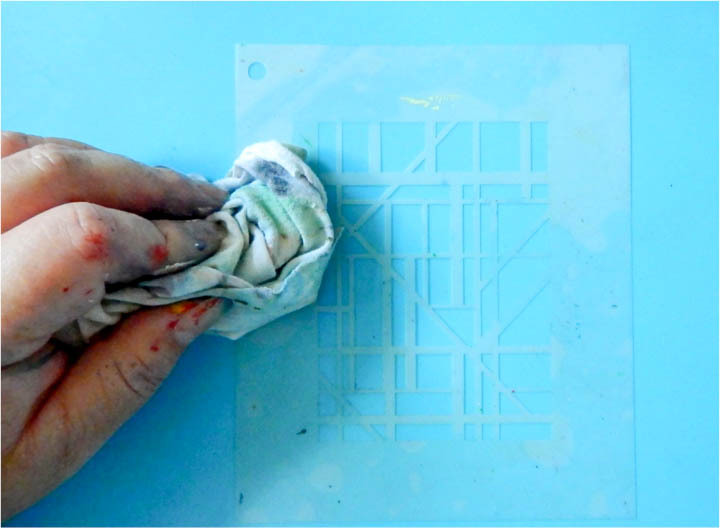 Use a stamp cleaner or Rubbing Alcohol to clean your stencil. 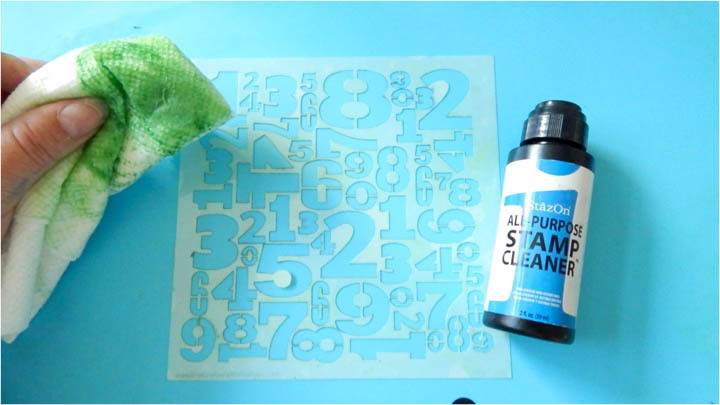 Imagine’s StazOn All-Purpose Stamp Cleaner works well for cleaning ink off your stencils. Dab the cleaner on the stencil and wipe with a dry paper/cloth towel. The cleaner tends to leave a little bit of an oily residue. Simply wipe it off with a clean wet paper/cloth towel. Acrylics paints are harder on stencils than inks. 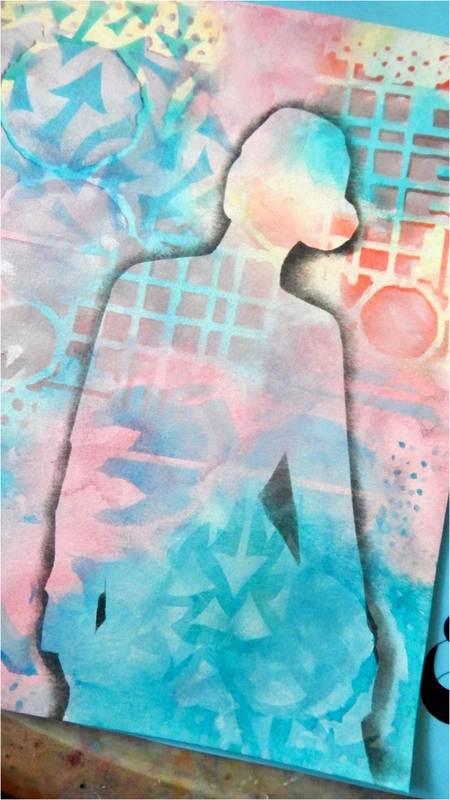 Acrylic paint can leave heavy buildup on your stencils and distort the edges. 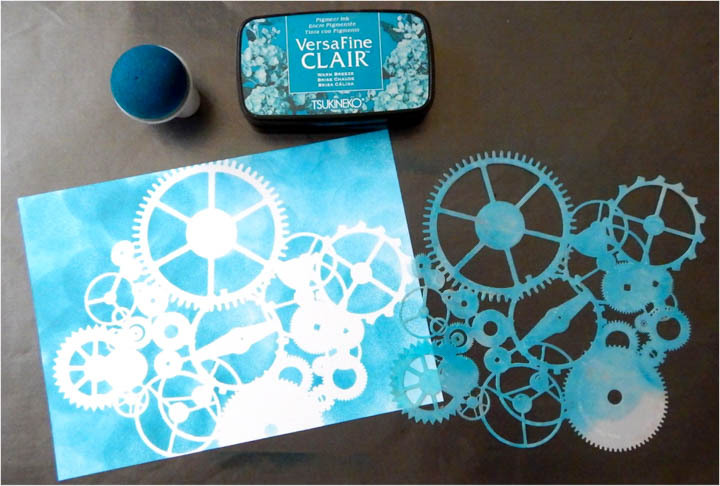 As with inks, clean the stencil immediately after using with a wet paper/cloth towel or baby wipe. Get as much paint off of it, as possible. 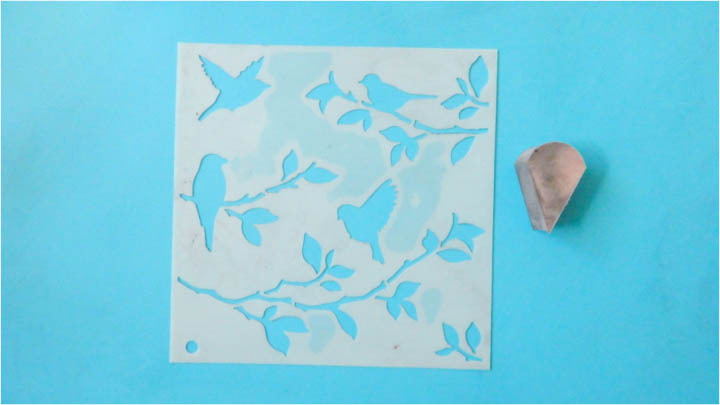 Use a cleaning or nail brush and soap to clean your stencils. 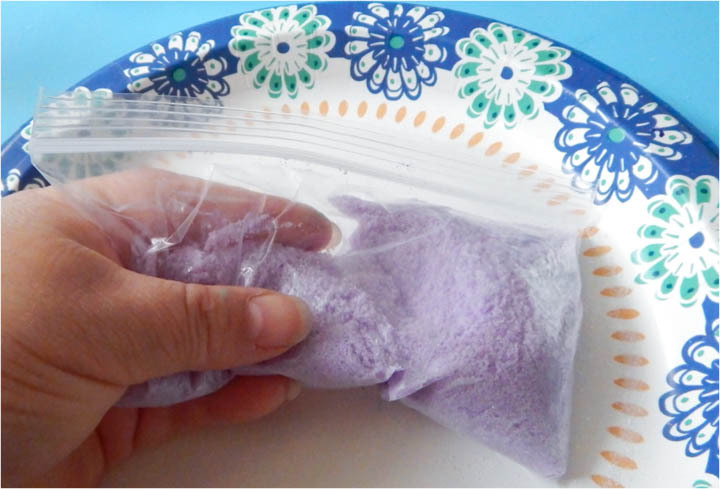 Mix handwashing/dishwashing or Artist Painter’s type soap with water in a container. Dip the brush and scrub the paint off the stencil. Lay the stencil flat and rub gently, avoid bending the openings. It’s summertime, time for that beach vacation. As you enjoy the sea breeze blowing on your face, the sand tickling your face, the sounds of kids playing, and the seagulls flocking in the distance, let the real world melt away. Much better, right? 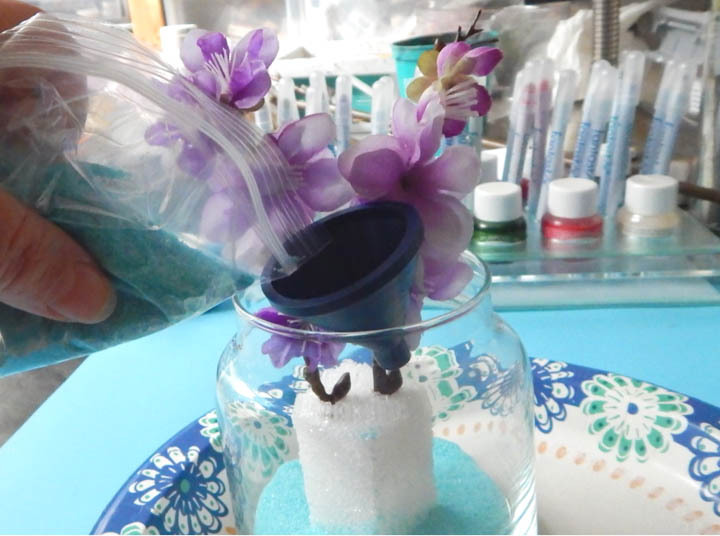 Before you leave though, pack some sand and bring it home for some fun craft projects, like a sand art terrarium using a glass jar and All-Purpose Inks to color the sand. 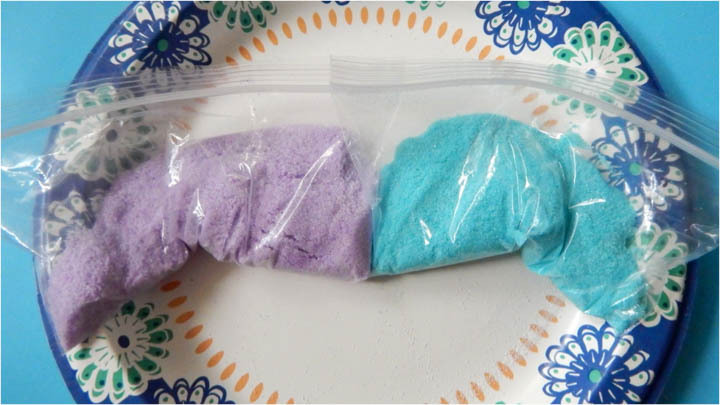 If you are not going to the beach, it’s okay, you can get sand from the craft store…we won’t tell. Select a glass container. 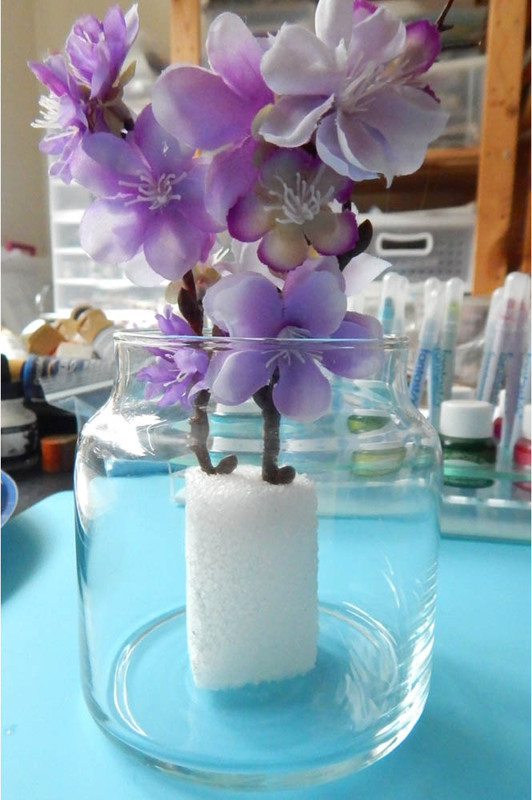 I used, what used to be a candle jar, measures 4 x 4 x 4 inches, 8 ounces. 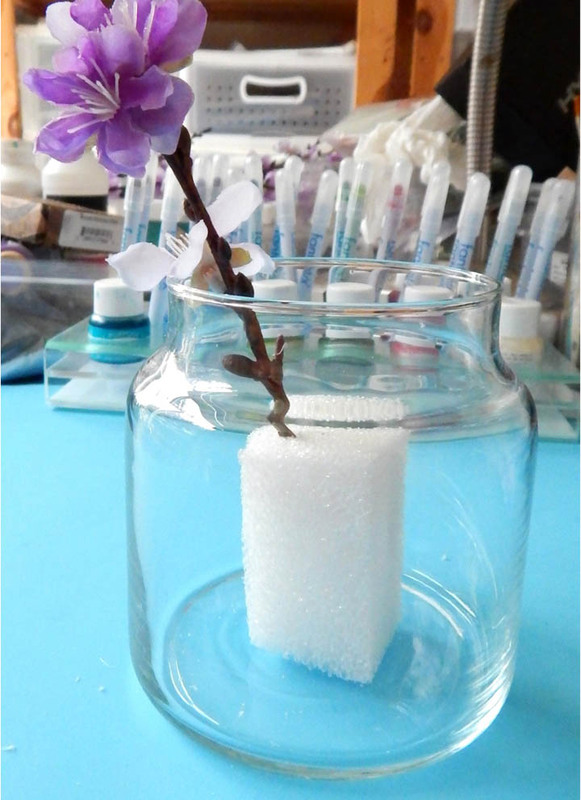 Cut a piece of foam to fits the center of the jar. Use at least one branch along with the foam to measure the foam’s height. Leave 1 to 2 inches gap from the rim. This will keep the sand from spilling over. The foam will be completely covered by the sand. 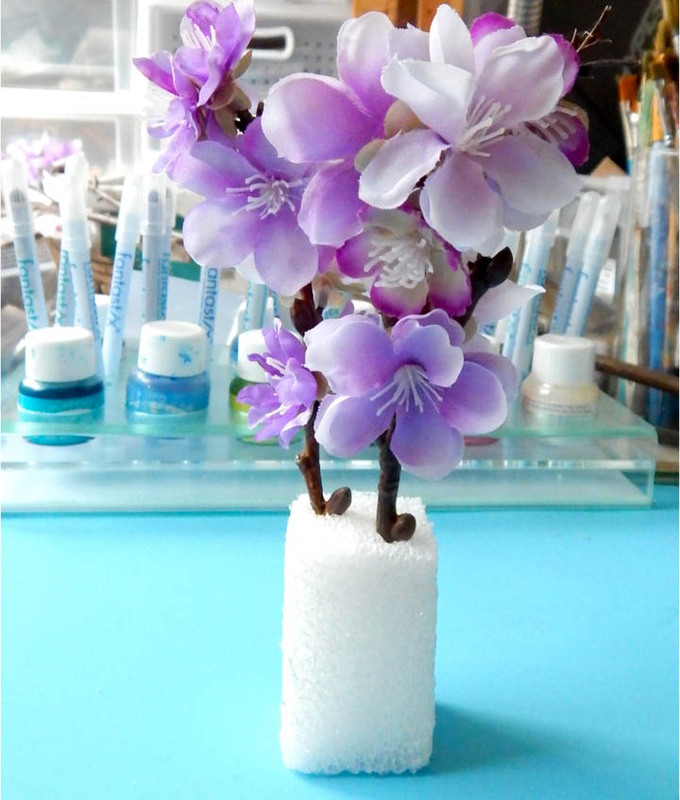 Arrange the flowers on the foam. Add hot glue to the holes. Artificial succulents and plants will also work. Or you can make it a beach theme by adding seashells. 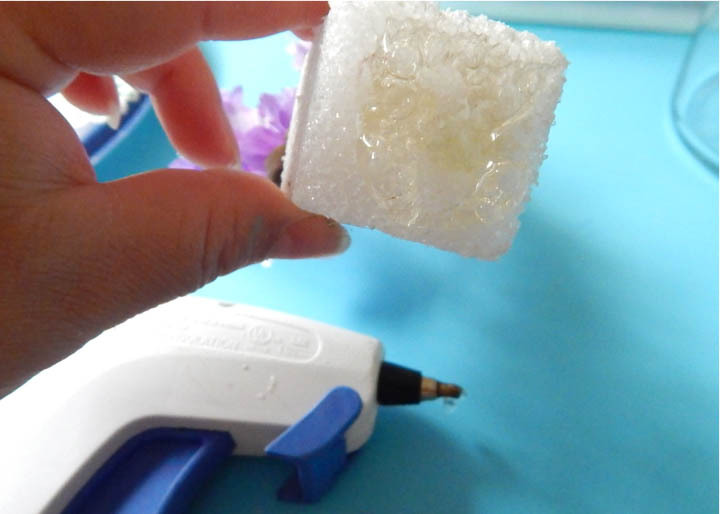 Add hot glue to the bottom of the foam. 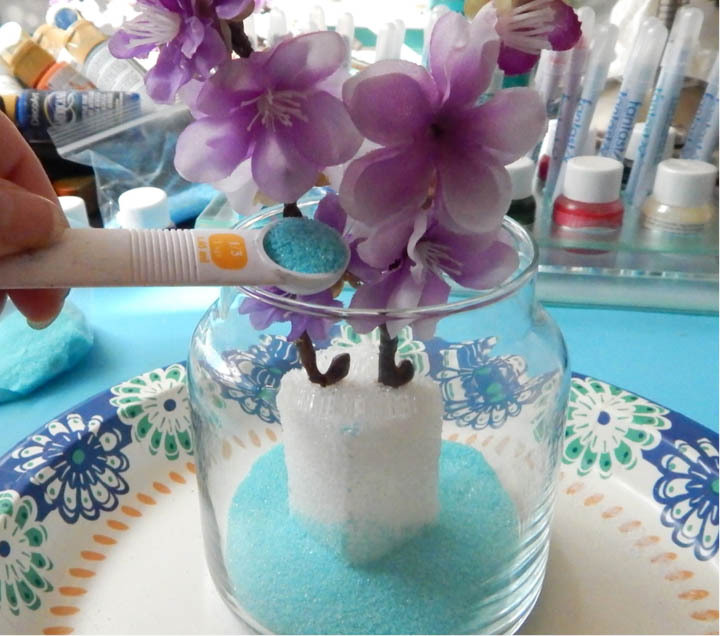 Glue the foam with flowers in the center of the jar. Place sand in the bag. 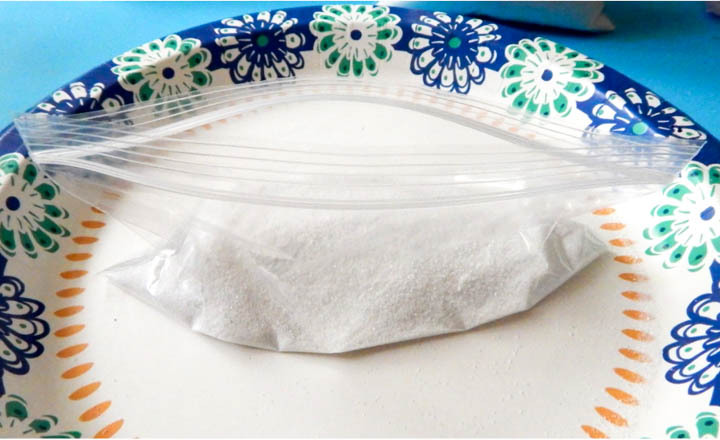 Fill about a third of the bag, which for the jar used in this project made ¼ to ½ inch layer. Drop in two to three drops of ink. Sand is very porous, a little goes a long way. Seal the bag, ensure to release the air inside. Smoosh the sand around with your fingers and shake so that it moves around. When all of the sand has been colored, you are done. The sand dries instantly. There is no dry wait time. However, if you use a little too much ink, the sand will stay wet. With the ink, it’s not easy to tell it’s wet as you can with water. To test out if the sand is wet, run the sand through your fingers, if it does not run through your fingers smoothly, then it’s wet. Visibly, it will look loosely clumped. Even if slightly wet, it will not go through the funnel or layer smoothly and will stain the layer below. In this case, leave the bag open and let the sand dry. Repeat step 8 for each color. Use a different bag for each color. Pour sand into the funnel and layer the sand. Pour a little bit of sand at a time. 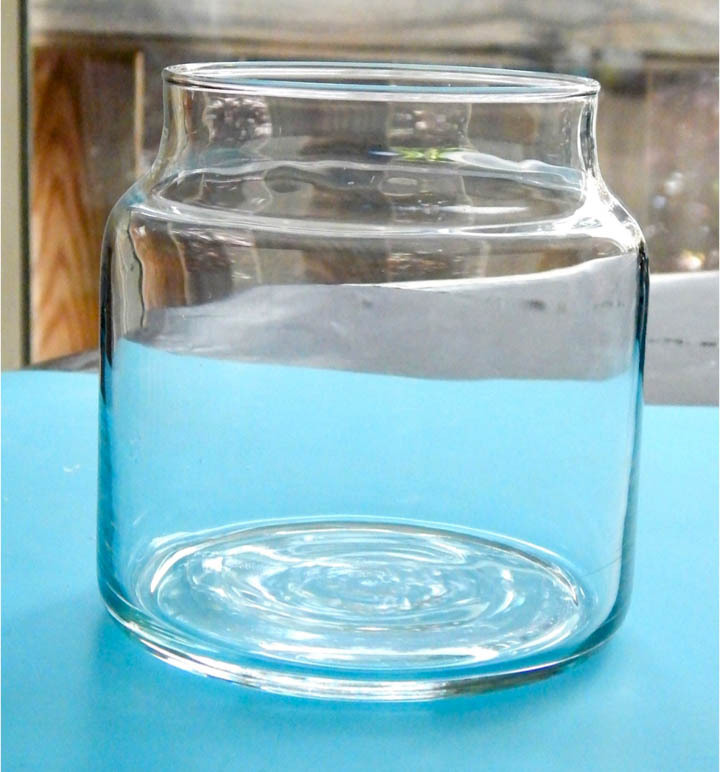 Rotate the jar and fill a different area. An alternative is to use a small measuring spoon. Continue to layer until you reach the top and have covered the foam. Use the Imagine’s Doodlestix to reach in and move the sand around. Now you have a DIY home décor nice or cute gift for that special someone. Hope you give this project a try. Whether you are able to travel this summer or are staying home, you can create this fun canvas commemorating one of the world’s most recognized landmarks –The Eiffel Tower in Paris, France. After altering our canvas with tissue and Creative Medium, we’ll mask out or elements with washi tape and add layers of Delicata for a burnished patina. Once you’ve got the hang of it, try out more famous places that you’ve visited or only dreamed about.